Some of us remaining in the 9th inning. Let's go Bucs! Congratulations to our new "Sir Knights" Jason M., Anthony G., and John C.
"Well done, good and faithul servants." It's a 4th Degree in PA! This year, our Council was honored to receive the Albert J. Benedetti Award for the highest per capita fundraising in our Division. As a region, the Pittsburgh area Knights raised $150,000 for the McGuire Memorial Home and St. Anthony's School Program this year. We are so grateful for the generosity of the parishioners of St. Paul Cathedral, and for the support of our pastor Fr. Kris Stubna. "The Death of Jesus Christ: A Surgeon’s View of the Passion"
The speaker, Dr. John A. McKeating, MD, is an oncologist and general surgeon at UPMC Mercy Hospital. He is also a staff member of the Aquinas Academy. Audio for this talk is available from the Council. Please contact us at pghknights@gmail.com. The "Fraternal" Degree: Congratulations to these brothers who acheived full Knighthood in our Order! Can you spot the 3 Cathedral Knights? Fr. Joshua joins with brothers James and Phil, along with their wives and newborn babies! Andy Warhol Briddge ~ 7th St. ...The Bucs rallied in the 8th and 9th innings for a 3-2 win. Let's Go Bucs n'@! On display this summer at the Carnegie Museum of Art, nearby St. Paul Cathedral, is a 500-year-old image of a Knight in full armor, riding along a narrow path atop a magnificent horse. To his side, the horrific figure of Death taunts our hero with an upheld hourglass, while a similarly sickening Devil carries a long spear behind the Knight, scanning his armor for weaknesses to exploit. The print, one of three so-called “Master Engravings” by the German artist Albrecht Dürer, impresses us with its technical accomplishment while inviting those “with eyes to see” into a deeper, spiritual meditation. The image evokes primal if conflicted emotions, with an allegory readily relatable to viewers. We see, in essence if not in historical detail, our own Christian journey of life on Earth. Gazing upon the scene, one senses an almost overpowering revulsion (perhaps even sick fascination) at the corporal decay and spiritual annihilation manifested by these ghoulish, roadside bandits. If we brave the horror show, however, gradually we re-focus on the Christian Knight at center, and discover inspiration in his holy forbearance. In this “valley of the shadow of death,” somehow from his steady manner and bold visage, we know this Knight will survive. Clearly, the man has work to do! Strong and steadfast, the Knight rides forward, choosing not to engage the inked ghouls on pulpy paper. Rather - crucially - he keeps his eyes calmly fixed on the way ahead. Above the Knight, in the distance, we discern a stately castle on a hill. Secular interpreters have called this a “Palace of Virtue.” Religious-minded see the castle as Heaven, or the final Salvation for our Knight. I find both explanations compelling on their own terms. I would hasten to add, however, that just outside the frame a broader story is being told. Following his gaze down the path, by grace we witness the Knight’s true companion, his leader on this pilgrimage: Jesus our Lord. Further, we see the Knight at the vanguard of a vast, ecclesial caravan, stretching over millennia. Through Mother Church en route, Jesus guides the faithful Knight on mission in the world, Spirit-filled, before his ultimate return to the everlasting embrace of the Father. How might such a Christian Knight appear now? Naturally, the details differ from one century to the next. 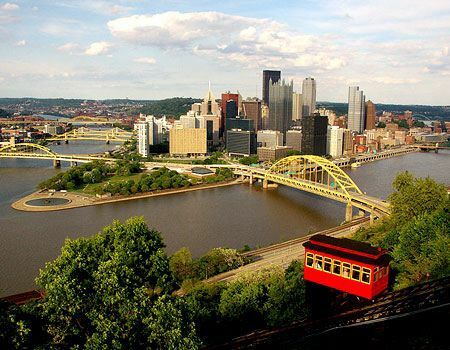 Today, for example, he could be an Army officer on leave in Pittsburgh for the summer, a nurse working the late shift at UPMC, an engineer with 30 years at Westinghouse, or a software designer for a Pitt/CMU-based startup. He could be a seminarian from St. Paul Cathedral, a retiree, an art student, or a refugee. What remains the precisely same, however, is his moral bearing and laser focus on Jesus. Part of the vast pilgrimage of the Church on Earth, the Christian Knight moves onward, ready in his unique way to testify to God and to contribute to the up-building of the Kingdom. One concrete expression of this chivalrous service here at the Cathedral in Pittsburgh is the esteemed Order of the Knights of Columbus. We are blessed with an energetic, welcoming Council comprised of men of diverse ages and backgrounds, united by our love of God and passionate desire to serve Mother Church in the world. If you are a Catholic man aged 18 or older, and the notion of charitable service in fellowship with other dedicated Knights moves you to action, then consider yourself called! The Dürer print entitled “The Knight, Death, and the Devil” (“Ritter, Tod und Teufel”) is on display at the Carnegie Museum as part of the “Small Prints, Big Artists” show until September 15th, 2014. Be sure to see the brilliant “St. Jerome” print, as well. P.S., G.K. 14474. Council Social at the Hofbräuhaus! Mardi Gras Parish Social: March 2nd, 2014! "McGuire Memorial’s main campus, located in the town of New Brighton, has since its founding in 1963, served those who are physically and developmentally challenged, including those with profound multiple, complex disabilities. McGuire Memorial, a co-sponsored ministry of the Felician Sisters of North America and the Diocese of Pittsburgh, is a not-for-profit, non-denominational facility open to people of all faiths and backgrounds. McGuire has always operated under the guiding principle that every person, as a unique gift of God, is created for a sacred purpose and is able to attain a fullness of life. As a direct result of that core value, every individual served at McGuire Memorial is loved, supported and encouraged to reach their fullest potential." Please see www.mcguirememorial.org for the story of this ministry of charity by the Felician Sisters. "St. Anthony School Programs is a Catholic-based inclusive educational environment for children ages 5-21 with Autism, Down Syndrome and other Intellectual Disabilities. For sixty years, St. Anthony School Programs has helped both Catholic and non-Catholic students with developmental disabilities live their lives to the fullest academically, socially, vocationally and spiritually. St. Anthony School Programs provides students with a unique inclusive educational program. Individualized lesson plans determine each child's level of inclusion and special resource room support gives our students every opportunity to learn in a safe and loving environment so that they may grow and become active and contributing members of society." Please visit www.stanthonyschoolprograms.com to learn more. Our Lady of the Olives, Wexford. January 25th, 2014. Let's do this! Tim, our Seminarian and brother Knight, with his mother on the Mall prior to the start of the March. 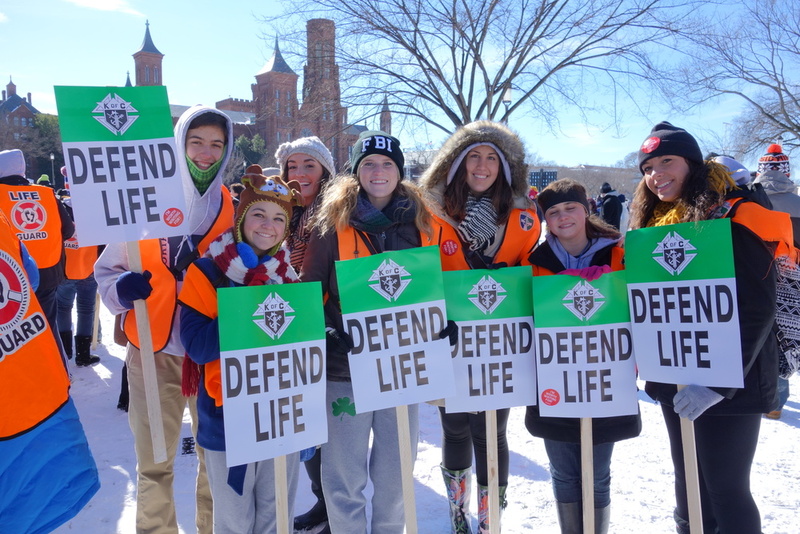 Students from Notre Dame High School in Peoria, IL holding signs from the KofC. Brother Ed with Sr. Lois and Tish Donze-Howard, Director of the Providence Family Support Center in the North Hills, holding a new coat for a child in need. Brothers of Council 14474 preparing this year's Christmas Seals for the Sunday bulletins. "In September 1959 in the year of Our Lord, our newly appointed Bishop, the Most Reverend John J. Wright, commissioned the Pittsburgh Chapter of the Knights of Columbus to embark on a program to help mentally retarded children, especially the children at the St. Anthony's School for Exceptional Children. A Special Charities committee was formed with Chapter President, William B. Jones, as chairman. A Christmas Seals program was suggested as a potential funds raiser and received the instant support and blessings of the Bishop of Pittsburgh. Under John Vegh's leadership, the success of this endeavor was most encouraging. In 1970, the Most Reverend Bishop Vincent M. Leonard replaced Bishop John J. Wright as Ordinary of the Pittsburgh Diocese. Bishop Vincent M. Leonard elected to continue the Project. Recognizing the certainty of the succession of Bishops, the Project's name was changed to "Bishop of Pittsburgh Diocesan Project of the Knights of Columbus." Pittsburgh's succeeding Bishops, Anthony Bevilacqua, Donald W. Wuerl and David A. Zubik, enthusiastically elected to continue the Knights of Columbus Project. The Knights of Columbus Bishop's Project flourished because of the efforts and enthusiasm of the Knights, the cooperation and help of the press, the radio and television media, and the public's generosity. The Seals Program was the initial fund-raising endeavor. From the very beginning, each Council pursued other methods of obtaining funds. 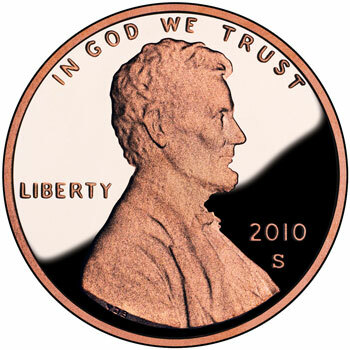 Frank Buczkowski, the 1980-81 Project Chairman, started the church penny collection following Sunday Masses. At the same time, Pius XII Council #4925 distributed Tootsie Rolls at shopping centers to encourage donations. By 1984, so many Councils were distributing Tootsie Rolls that Patrick Boccardi was selected to coordinate these Tootsie Roll drives. The proceeds from these activities are combined in our financial report as Council Activities. We are chartered as a non-profit corporation in the Commonwealth of Pennsylvania to "contribute to and assist in the support of the Program of the Roman Catholic Diocese of Pittsburgh, for physically and mentally handicapped children." Operated by the Knights of Columbus in the Diocese of Pittsburgh, under the supervision of the Advisory Board which approves committees, programs and expenditures, our continued future success is dependent upon the continual active involvement and support of every District Deputy, Grand Knight and Gentleman Knight in the area." The Brother Knights would like to extend a special thanks to all of the parishioners who donated food and Giant Eagle gift cards to the Fall Food Drive, in direct support of the St. Paul Cathedral Food Pantry. Also, thanks to everyone who helped to carry the many bags of food items over to the Rectory after each mass! It is by your generosity that individuals and families in need from our community will be able to have enough food to eat. St. Paul Cathedral Food Pantry.